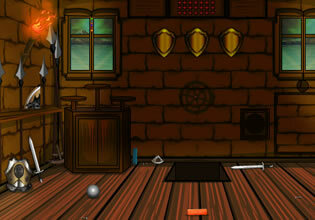 Two kingdoms have been at war for a very long time on this escape game created by EightGames. One kingdom suggested a peace talk in order to the end the war which was going on for too long. The leader of the other kingdom agreed to he sent his emissary on behalf of him. After learning that the other kingdom won't fulfill the peace negotiations the emissary was locked up in a room and he need to find a way to escape.